We hold a Saturday Open Morning each January to give you an opportunity to look around the school and ask any questions that you may have. 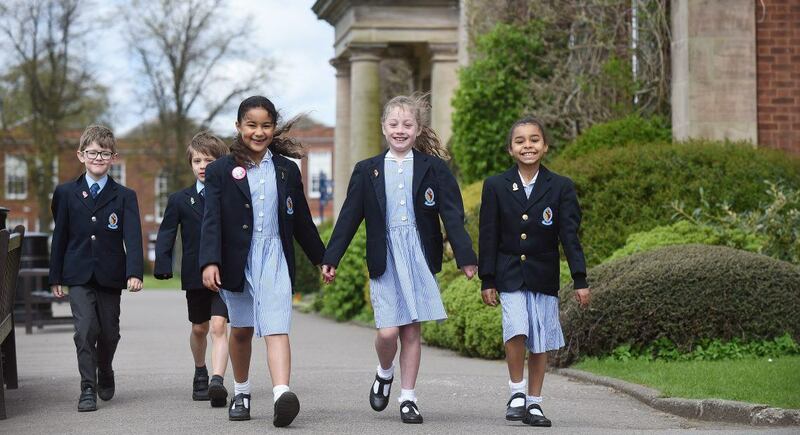 The tours are guided by current Year 6 pupils who look forward to telling you all about Blue Coat life! Our next Open Morning is next January on Saturday 25th January 2020. There are two sessions for this event – one from 9.30am-11am and one from 10.30am-12pm. Tours will depart at 9.30am and 10.30am from the School Reception so please arrive at the start of the session. Please register your attendance using the sign-up form below. If you are unable to make the Open Morning or would like to visit the school before then, please do not worry! Please do not hesitate to contact our Admissions Registrar as we are happy to arrange separate weekday tours for you to see the school in action. Please just get in touch if you would like to arrange this. The information that you have provided will be recorded on our Admissions Database so that we can send you a prospectus as requested and keep you informed about future Open Mornings and School News. It will not be shared with any third parties.